LLVNevada@aol.com with the title FREE LJN NEWS. To see the type of news covered by LJN News, click here: https://www.facebook.com/LJnewservice/. LJN POSTS BREAKING NEWS WITHOUT THE BIAS, DISTORTIONS AND LIES OF THE MAINSTREAM MEDIA. This sometimes upsets our liberal, progressive democrat readers who believe what the biased media calls news. .Anonymous Sources Help Create News . .FAKE NEWS, origins & examples . Islam News here: ISLAM .Nevada Politics for Peasants . Late News .Today's News for Progressives . THIS IS WHY FOX NEWS HAS THE HIGHEST RATINGS. Fox news leads in ratings and effectiveness of shaping of political opinions. Fox News and American Politics: How One Channel Shapes American Politics and Society explains that in recent years, scholars have argued that the ability of people to choose which channel they want to watch means that television news is just preaching to the choir, and doesn’t change any minds. 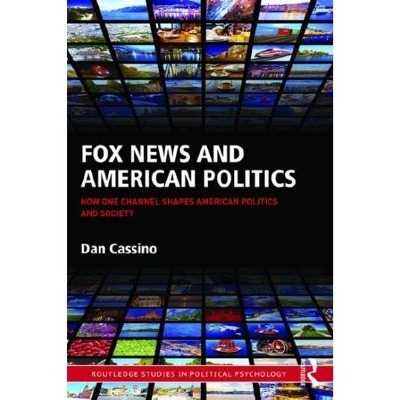 However, this book shows that the media, especially Fox News, still has an enormous direct impact on American society and politics. While past research has emphasized the indirect effects of media content on attitudes – through priming or framing, for instance – Dan Cassino argues that past data on both the public opinion and the media side wasn’t detailed enough to uncover it. Using a combination of original national surveys, large scale content analysis of news coverage along with data sets as disparate as FBI gun background checks and campaign contribution records, Cassino discusses why it’s important to treat different media sources separately, estimating levels of ideological bias for television media sources as well as the differences in the topics that the various media sources cover. Taking this into account proves that exposure to most liberal media sources can serve to actually make Americans less knowledgeable about current affairs, and more likely to buy into conspiracy theories. Even in an era of declining viewership, the media – especially Fox News – are shaping our society and our politics. This book documents how this is happening, and shows the consequences for Americans. The quality of journalism is more than an academic question: when coverage focuses on questionable topics, or political bias, there are consequences.